Markets and Americans in general are relieved that tensions with North Korea have been reduced and denuclearization talks are progressing. But in a complex world, as soon as one crisis is mitigated, another crisis emerges. The new “hot spot” is Iran and its relations with Arab neighbors, Israel and the U.S. President Trump ended the Obama-era understanding with Iran in 2018. This understanding, called the Joint Comprehensive Plan of Action, JCPOA, was reached between Iran and a group called “P5+1” (U.S., Russia, China, U.K., France and Germany) and the EU. It was not a formal treaty (in fact, it’s not clear Iran ever signed the memorandum or that the English and Farsi translations say the same thing), but it was good enough to remove sanctions, give $50 billion to Iran (including $1.5 billion in cash and gold) and put Europe and the U.S. back on the road to “business as usual” with Iran. The JCPOA was the result of a sustained financial war with Iran that ran from 2012 to 2013. Now that the JCPOA is a dead letter, the financial war is on again with even tougher sanctions than those imposed by Obama. 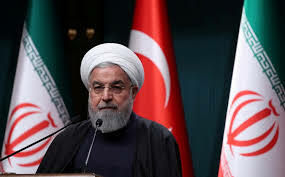 Iran is fighting back by supporting pro-Iranian rebels and terrorists in Yemen, Sinai, Gaza, Syria and Lebanon and by resuming missile testing to create rockets capable of delivering a nuclear weapon aimed at Riyadh or Tel Aviv. As reported in this article, Iran recently launched a new rocket with a satellite intended to be placed in orbit. The rocket failed to get the satellite into space, but Iran has already announced its intention to try again in a few months. This is not a normal telecommunications or weather satellite; it could be used for nuclear-tipped missile guidance or other space-based attacks on Gulf states or Israel. This effort will not be tolerated and could be a trigger for a shooting or cyberwar in the Gulf. Right now, this effort is off the market’s radar screen, but that may not last. It’s one more reason for investors to remain cautious.